These materials are neither sterile, nor medical-grade quality, which means they can cause infections or even tooth loss. Sadly, many vloggers have gained popularity for instructing teens to make their own braces using these materials. Moreover, with the rise of 3D printers, some entrepreneurs are touting the benefits of DIY braces without considering the consequences. Everyone wants a beautiful, straight smile without having to fork over a lot of cash, but the drawbacks of DIY braces are just too numerous for them to serve as a viable solution. DIY braces offer no guarantees, so even if you try to make your own and successfully manage to move your teeth, the results most likely won’t last. Professional braces are designed to move teeth in slight increments over a long period of time. There’s a reason for this: Quick adjustments have a greater chance of shifting back. Since DIY braces tout quick results in less time, your teeth are more likely to move back to their original positions after you discontinue using makeshift braces. Using tight rubber bands or other materials to adjust your smile quickly is detrimental to tooth health. Rather than create the straight smile you crave, makeshift braces could destroy your teeth at their roots. Tight DIY braces restrict blood flow and cut off your teeth from the circulation they need to be healthy. When you use makeshift braces, you run the risk of destroying your teeth and roots, ultimately having to visit a dentist anyway to have them pulled. Since DIY braces involve nonsterile, nonmedical-grade supplies, it’s easy to develop an infection. 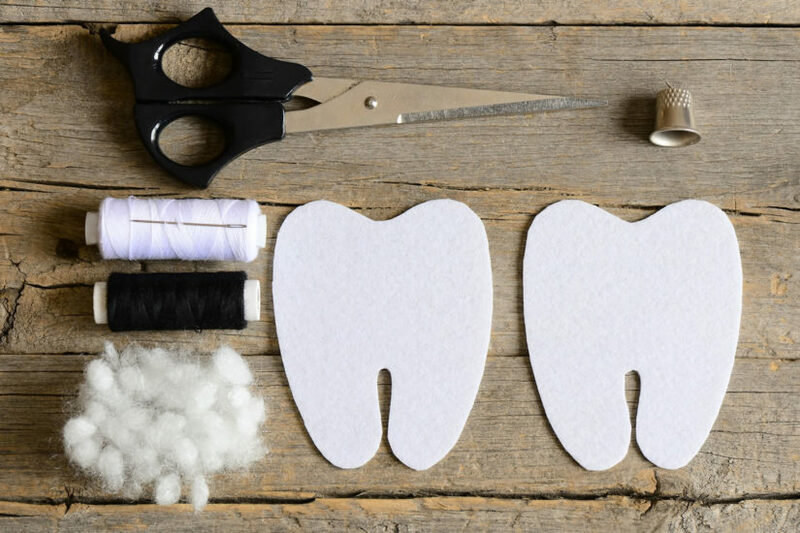 Rubber bands, paper clips, and similar items can cut into the gums and injure the tissue, causing open sores that aren’t able to heal while you continue to wear the makeshift braces. A gum infection may not sound serious, but it can actually spread through your blood and facial tissues, becoming life-threatening or causing severe bone loss. There have been cases of children using rubber bands to straighten their teeth only to develop infections, which can result in surgery to remove the material and to correct the damage. Since DIY braces affect your entire mouth, other teeth can shift out of place, even if you don’t intend them to. As a result, your upper and lower jaw might not fit together like they once did, affecting your ability to chew properly or even speak. In fact, you could develop a serious speech impediment such as a lisp or even apraxia of speech, which means you’ll have to expend more effort to say certain words. Due to such physical alternations, makeshift braces can lead to emotional trauma stemming from damaging your smile. With possible symptoms, such as mood swings, confusion, intrusive thoughts, avoidance of activities, lack of interest in activities you once loved, insomnia, general body aches, fear, and even depression. Both your mental and your physical health are much too important to even attempt DIY braces. Most people turn to DIY methods to save money, but when it comes to important dental procedures, you could end up paying much more to repair the damages. Replacing teeth with implants or dentures are complex, costly procedures that may need to be repeated multiple times in your life. Surgery to address infections and bone loss are inconvenient, traumatizing, and expensive. When you consider the costs associated with correcting damages from DIY braces and at-home straightening kits, you’re better off saving the money for professional braces and having the treatment done right the first time around. Considering all the disadvantages of DIY braces, it’s important to avoid altering your smile yourself. It’s also important to inform your kids of the dangers of attempting to straighten their teeth themselves. Schedule a consultation with a professional dentist to ensure a safe, effective dental treatment and personalized care based on your individual needs. You won’t regret the investment.